This page provides information on classification of archaea. There is an explanation of ribosomal DNA and its use in molecular phylogenetics, Carl Woese's discovery of the three kingdoms of life, and more recent work on classification of archaea. 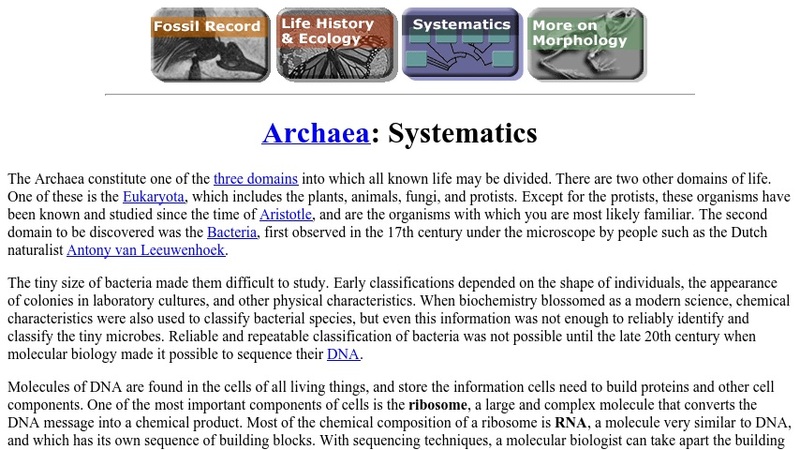 There is also a hyperlinked list of other resources on archaea and a bibliography of relevant primary scientific literature. This page would be accessible to advanced secondary and higher level students.